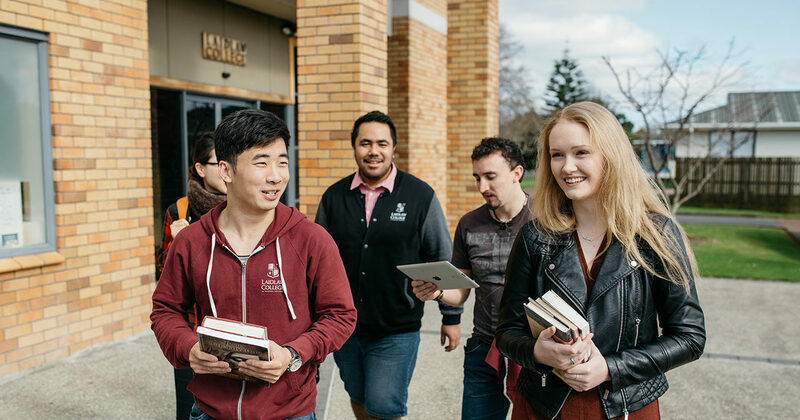 Laidlaw College offers an array of study options, all firmly grounded in a courageous and thoughtful Christian worldview. You can match a study pathway that best-fits your current needs, ranging from Foundation Studies to prepare you for your academic journey, through to rigorous Post-Graduate Studies at a PhD level. Foundation Studies - The Certificate in Study & Career Preparation (CertPrep) assists students with the development of key skills, capabilities, knowledge and attributes needed to succeed in tertiary education including degree level. The programme provides a foundation for students who want to continue into Laidlaw programmes in Theology, Teaching or Counselling through a mixture of academic skills development and reflection on Christian faith and life. Theological Studies - Ranging from Certificate through to Doctoral studies, the School of Theology is passionate about seeking wisdom to live faithfully in a fast-changing world. Whether you’re seeking to prepare for professional ministry, or deepen your faith in your home or life - Laidlaw’s School of Theology offers a program to fit. Education - Laidlaw offers a Bachelor of Teaching (Primary) to prepare our students for effective, thoughtful training in New Zealand primary, intermediate and pre-school domains. In addition, Laidlaw provides a Diploma in Christian Education for those seeking to integrate their faith and practice in a dedicated course of study. Counselling - If you are called to serve others through healing hearts, minds and relationships, Laidlaw offers a uniquely integrated approach to counselling and relational studies. With a Bachelor of Counselling for those seeking to become registered counsellors, Laidlaw provides a comprehensive educational program for training in this deeply significant care ministry.